Sidhil News: We Found Love at Sidhil...!!! The latest happenings at Sidhil. We Found Love at Sidhil...!!! Congratulations to Sarah Gent and Andy Master Hulme who tied the knot on Saturday 3rd October at Southward Lodge. 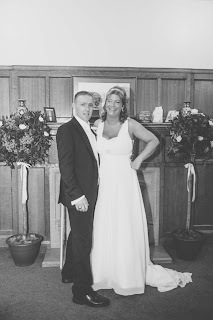 Despite having worked in the same company for several years the couple didn't meet properly until they were invited to a colleagues house warming party.... A couple of Dirty Martinis later they were in love and 4 years later tied the knot! !